Imbolc (August) 2010 — 1 cabinet is much deeper than the other so it backs onto the smaller one. 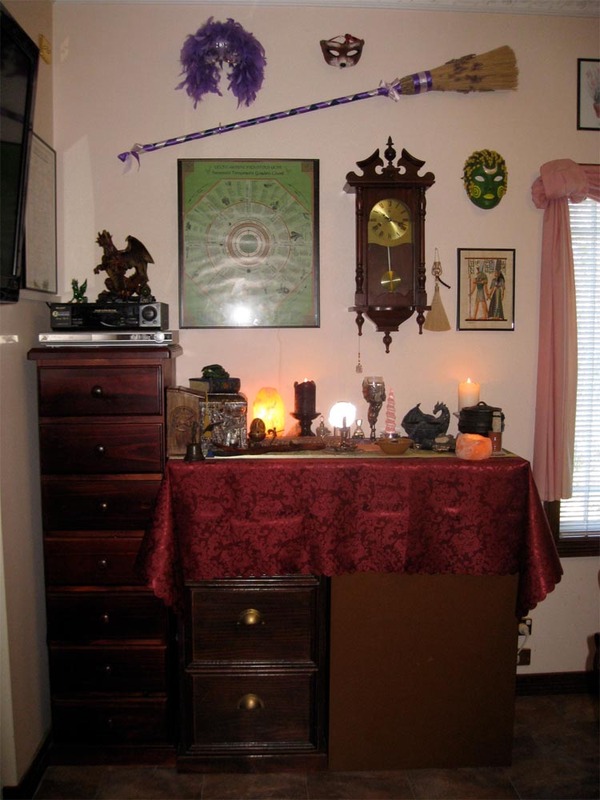 Its drawers open from the end of the altar. A piece of particle board (with packing under one end) sits on top to cover the height difference between the 2 cabinets. 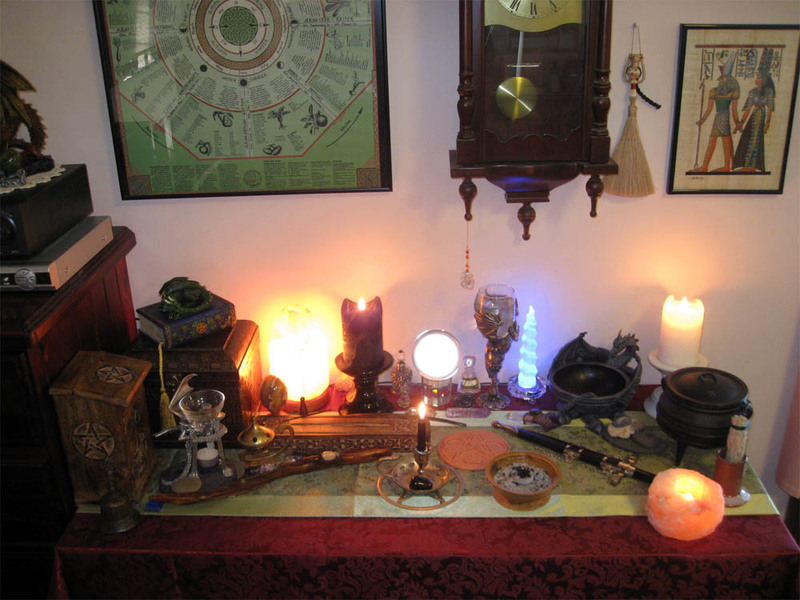 My new altar is big enough to include display/storage space for my tools plus a clear working area in the centre. 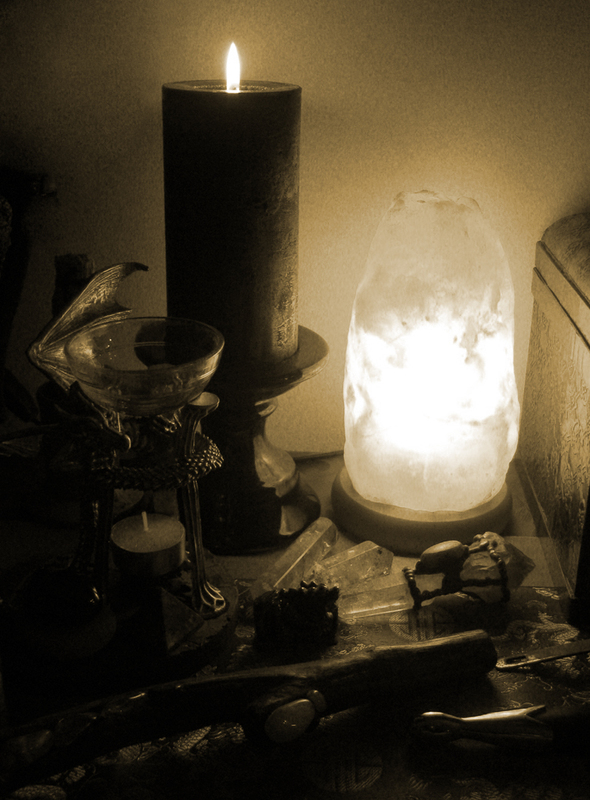 West (chalice, selenite spire, scrying bowl, beach rocks, cauldron) and North (athame, salt tealight holder). 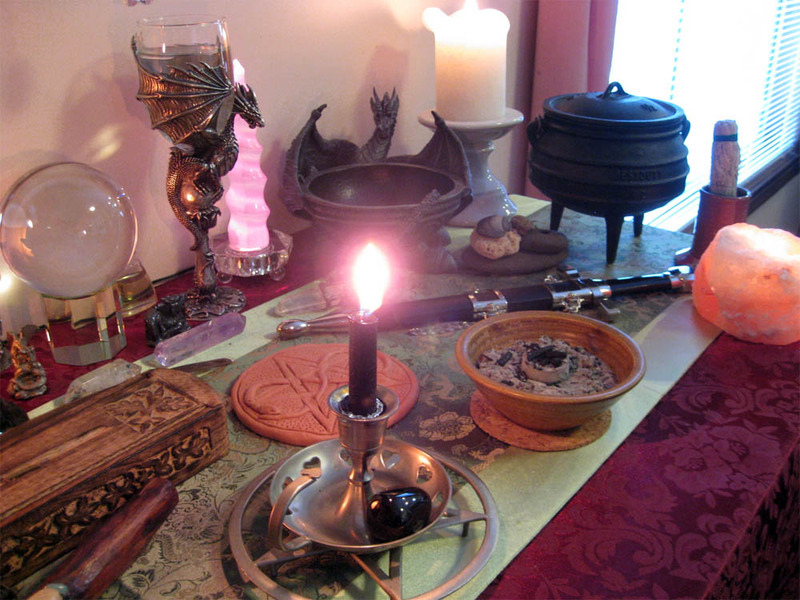 Candle in foreground and charcoal block/herbs in bowl were part of some spellwork. 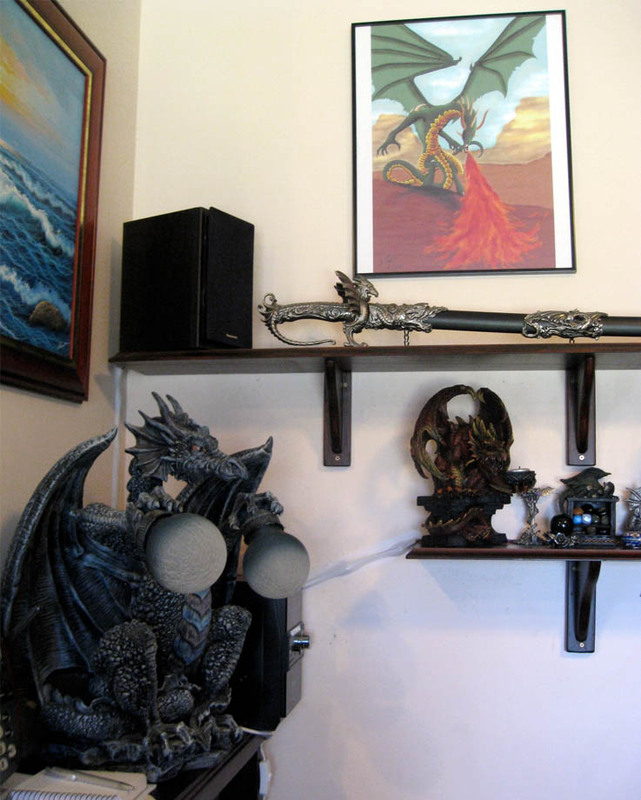 The northern corner also has a drawing of a dragon (computer graphic created by my son ‘J’ for his Year 10 “Major Work” for Visual Art) as well as my first dragon sword. And yes, I know there’s a painting of the ocean there as well, but the painting looked best on that wall. It does feature the sun, so that counts as fire in the northern sky …although the painting is of a sunrise (east) or sunset (west). Oh well, it was too difficult to get everything absolutely perfect …some compromises had to be made. 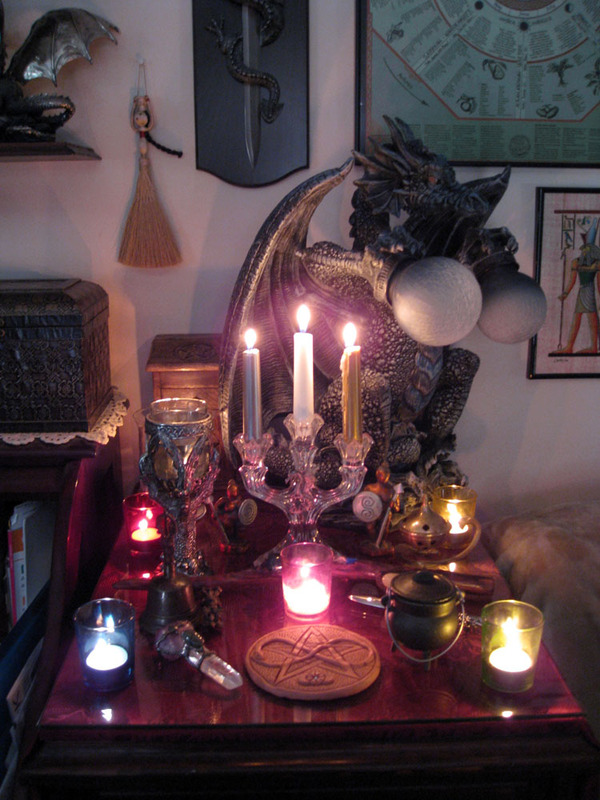 See more at My Altar (2). 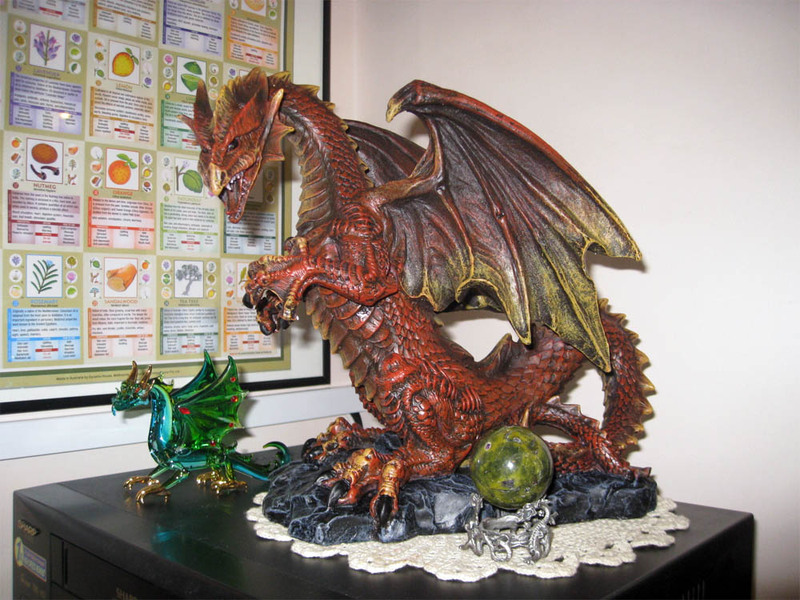 This entry was posted in Dragon Images, Magickal Tools, Personal Musings and tagged dragon altar, dragon magick, paganism, witchcraft. 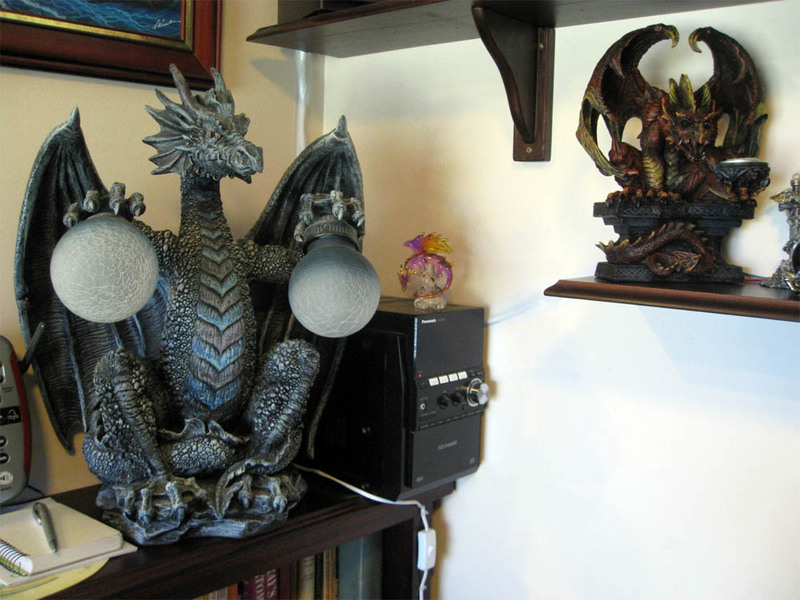 I hve been visorting for some time first post I also got water dragon in the teast. 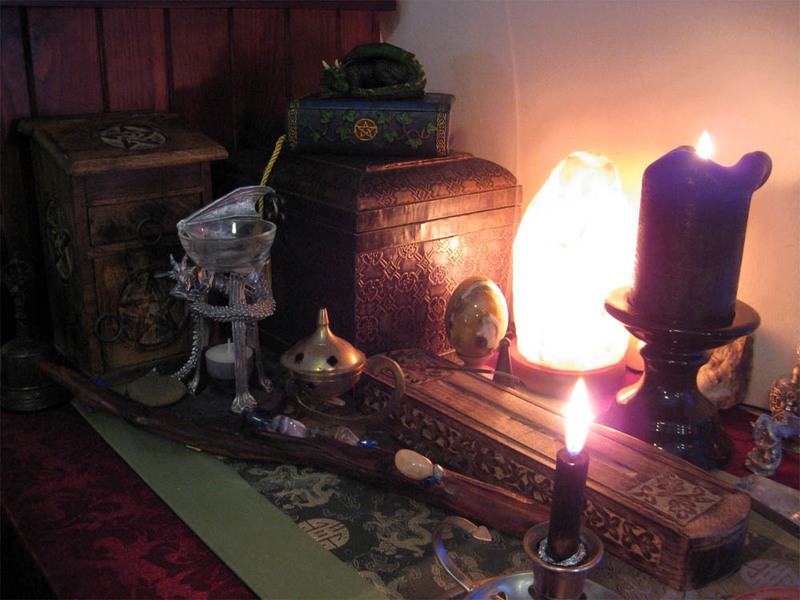 Thanks 😀 yes, my practices are rather eclectic – definitely Pagan & influenced by Celtic, Egyptian — not quite so much Buddhism, but many other things as well. Nice to know you’ve been visiting my site for a while now; thank you for that. 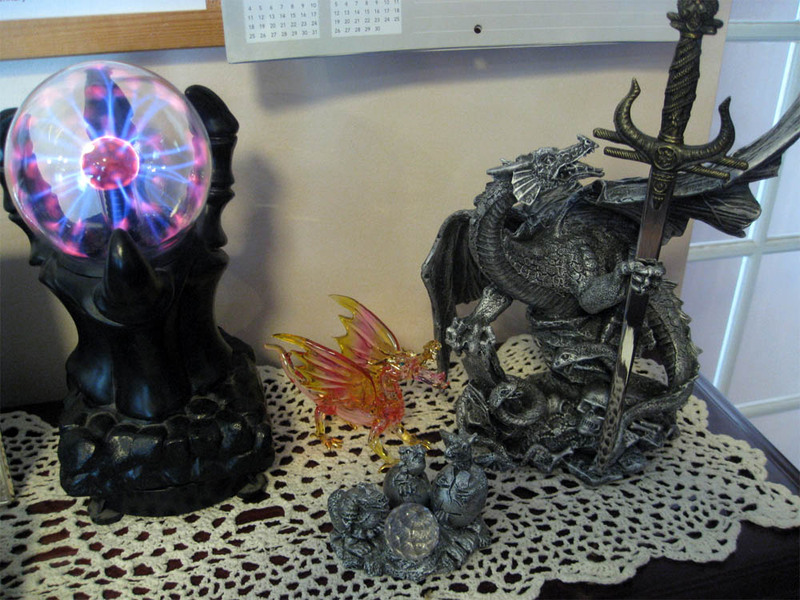 Congrats for your altar and dragons statues. Hi! 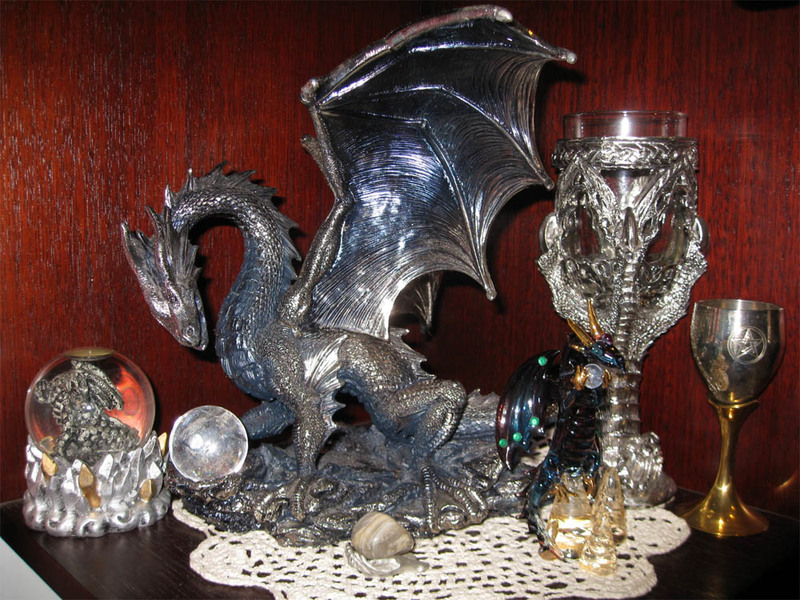 Beautiful altars!I’m going to embrace the dragon’s way too, we’re few.I heard the call, don’t know if for you was the same.. By the way, beautiful stuff! !